Home Basketball Videos Watch: Remy Martin the Best Filipino Basketball Player in America? Watch: Remy Martin the Best Filipino Basketball Player in America? Watch this amazing highlights of the Filipino-American prospect in America, Remy Martin. MJ2KALLDAY - had given a review to this Fil-Am Prospect, he said that this kid has an all potential and could dominate Philippine basketball soon and probably in NBA too. 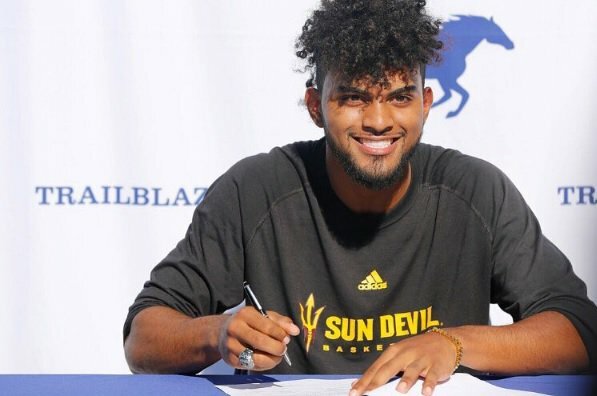 Kilalanin Remy Martin 5'11, 17 years old Fil-Ameican from Arizona State University.